Many guides tout themselves as “insiders” but this one with the best addresses in Paris is the real thing. 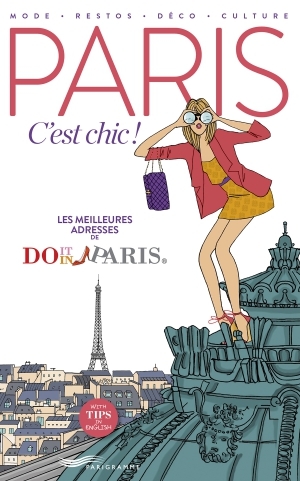 “Paris C’est Chic” is produced by the “Do It In Paris” website team and published as a printed guide by Parigramme, which specializes in all things Parisian. Organized by neighborhoods with a focus on femme fashion, shopping, fooding and cool cafés, this is guide useful for Parisians themselves.